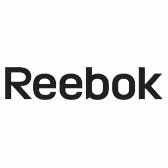 Reebok is good at making comfortable athletic shoes. Like, really good. When you put in a lot of work hours walking or standing on your feet, athletic shoes are definitely a great choice. When you also require safety, these Reebok Men’s ESD Sublite Cushion RB4141 ... (see full details) (see specifications) #RB4141. Reebok is good at making comfortable athletic shoes. Like, really good. When you put in a lot of work hours walking or standing on your feet, athletic shoes are definitely a great choice. When you also require safety, these Reebok Men’s ESD Sublite Cushion RB4141 Black Alloy Toe Mid Shoes are an excellent place to start. Particularly when you work on hard surfaces like tile or concrete, you can benefit from the comfort, shock resistance, and support of athletic style work footwear. And no one knows how to make them quite like Reebok. Lightweight, safe, comfortable, these mid-cut athletic alloy toe shoes are the whole package. While you may not want to hit the court wearing safety toe shoes, your feet will feel ready to go. The flexibility of the Sublite Cushion ESD shoes means you can work efficiently, staying focused on the task in front of you rather than on foot pain. With the industrial strength needed to survive the demanding work day plus safety technology to keep you compliant and protected, you get it all with this Reebok footwear. Lightweight alloy toe caps are ASTM F2413 approved and lighter weight than steel. The alloy toes are still metallic yet made of a stronger and less dense material, so there's less material needed for equal safety which lightens the weight of your safety toe shoes. Your knees and lower back will thank you for this over time. SD dual resistor technology reduces static buildup for safety and certain work environment, earning the Reebok men's shoes and ESD classification. The slip-resistant outsoles have a Mark II low contaminant SR rating for oily/wet of .52. Reebok’s supportive Sublite cushion system reduces the shock of impact with every step you take. This means less stress on your feet, ankles, and knees with every step and more stamina at the end of the day. So keep your comfort and stay compliant with worksite rules by choosing Reebok athletic work shoes. If your job doesn’t demand heavy leather work boots, skip it! Enjoy the breathable comfort of lightweight athletic footwear while still maintaining the same amount of support and protection for your feet with these Reebok Men’s ESD Sublite Cushion RB4141 Black Alloy Toe Mid Shoes from Working Person's Store. Reebok Shoes: Men's ESD Sublite Cushion RB4141 Black Alloy Toe Mid Shoes is being added to your cart.